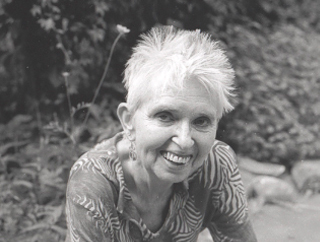 Janine Pommy Vega is the author of eighteen books and chapbooks since 1968. The latest is (poetry) The Green Piano, Godine, May 2005. Her first CD, Across the Table, recorded in Woodstock, and from live performances in Italy and Bosnia, came out in November, 2007. An Italian translation of her travel book Tracking the Serpent (Sulle tracce del serpente, Nutrimenti, Rome) was published in July 2007. Her translations from Spanish of migrant workers' poems, Estamos Aquí, came out from Bowery Books in 2007. Vega performs with music and solo, in English and Spanish, in international poetry festivals, museums, prisons, universities, cafes, nightclubs, and migrant workers' camps in South America, North America and Europe. She is the Director of Incisions/Arts, an organization of writers working with people behind bars, and has taught inside prisons for more than twenty-five years. She currently teaches a course in poetics for Bard Prison Initiative. She has worked as well in creative writing programs in public schools, elementary through high school-all grades for over twenty years. Janine Pommy Vega died peacefully at home on December 23, 2010.